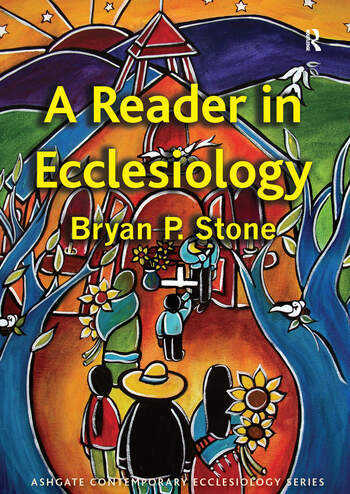 This Reader presents a diverse and ecumenical cross-section of ecclesiological statements from across the twenty centuries of the church's existence. It builds on the foundations of early Christian writings, illustrates significant medieval, reformation, and modern developments, and provides a representative look at the robust attention to ecclesiology that characterizes the contemporary period. This collection of readings offers an impressive overview of the multiple ways Christians have understood the church to be both the 'body of Christ' and, at the same time, an imperfect, social and historical institution, constantly subject to change, and reflective of the cultures in which it is found. This comprehensive survey of historical ecclesiologies is helpful in pointing readers to the remarkable number of images and metaphors that Christians have relied upon in describing the church and to the various tensions that have characterized reflection on the church as both united and diverse, community and institution, visible and invisible, triumphant and militant, global and local, one and many. Students, clergy and all interested in Christianity and the church will find this collection an invaluable resource. Bryan P. Stone has served as the E. Stanley Jones Professor of Evangelism in the School of Theology since 1998 and is Associate Dean. He is director of a Ph.D. program in practical theology. His most recent books are Evangelism after Christendom: the Theology and Practice of Christian Witness (which takes an ecclesiological approach to the practice of evangelism) and Sabbath in the City: Sustaining Urban Pastoral Excellence, co-authored with Claire Wolfteich. He has also authored or co-authored numerous other volumes including Evangelism After Christendom: The Theology and Practice of Christian Witness (2007), Sabbath in the City: Sustaining Urban Pastoral Excellence, co-authored with Claire Wolfteich; Thy Nature and Thy Name is Love: Wesleyan and Process Theologies in Dialogue, co-edited with Thomas Jay Oord (2001); Faith and Film: Theological Themes at the Cinema (2000); Compassionate Ministry: Theological Foundations (1996); and Effective Faith: A Critical Study of the Christology of Juan Luis Segundo (1994).